The Red Mango Yogurt Café and Juice Bar in North Babylon re-opened Tuesday with a new owner and a new cause. Dallas-based Red Mango donated the 1,600-square-foot store in the Sunset Plaza Shopping Center on Deer Park Avenue to Easterseals New York in support of the nonprofit’s veteran’s training and business ownership programs. 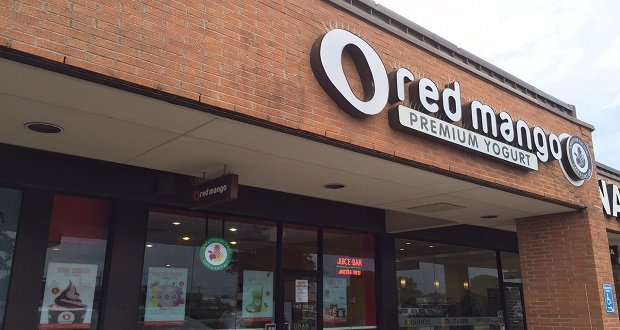 The Red Mango company is donating the store, formerly used as a training center, and is waiving all franchise fees, including royalties and advertising. According to the company, dozens of veterans will be able to fully participate in an entrepreneurial enterprise, developing skills, gaining experience and business acumen not often available to them. The North Babylon Red Mango store has been operating since 2011, cost in excess of $400,000 to build and has an annual gross sales revenues of $465,000, according to the company. Founded in 1922, Easterseals New York was formed to assist people with disabilities, but it has that has since partnered with veterans groups that foster employment opportunities. Easterseals is working with Fedcap Rehabilitation Services, a veterans’ jobs specialist, on the Red Mango North Babylon store training center. The benefits for veterans will include training in managing day-to-day food-service operations. The North Babylon store will be used as an extension of the Food Arts Center, which offers veterans training opportunities in a variety of service sectors. Easterseals New York Program Manager Kim Elvin, a U.S. Navy veteran, said she’s hoping that people will support the shop to help the veterans make the transition into society. For someone who specializes in promoting the hiring of veterans, Bruce Hurwitz, of Manhattan-based Hurwitz Strategic Staffing, said the Easterseals/Red Mango effort is a very good model he hopes other corporations will follow. “It gives practical real-world training for veterans,” he said. Hurwitz pointed out that 81 percent of jobs in the military have corresponding civilian jobs, but the problem is with the other 19 percent, which provide no entrepreneurial business experience. “As they learn new skills they can better decide what they want to do with their future,” Hurwitz said. Erlich said Red Mango wanted to provide the opportunity for Easterseals to create a thriving enterprise without debt or encumbrances. Red Mango was founded by Daniel Kim, who opened its inaugural store in Los Angeles in 2007. There are now more than 300 Red Mango locations across the U.S., Mexico, El Salvador and Uruguay.